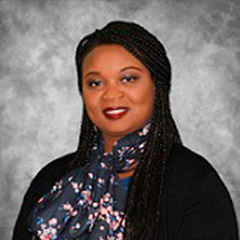 Esther is a Family Nurse Practitioner certified by the ANCC.Esther has a strong rapport with patients of all ages, specialzing in the treatment of children and adolescents. Her nursing career started when she graduated from Lagrange College with a dual degree. She received her Bachelors of Arts degree in Human Services with a concentration in Social Work and Bachelors of Nursing in 2001. In 2011, she graduated from South University with a Masters in Nursing Education. Esther has worked in various different settings including Psych/Mental Health, OB/GYN, Community Health and Clinical Instructions at Georgia State University. She received a Post-Masters certificate as Family Nurse Practitioner from South University in 2016. Esther is a member of Sigma Theta Tau International Honor Society of Nurses, American Nurses Association and the International Nurses Association. Esther is certified by the American Nurses Credentialing Center (ANCC) and is licensed by the Georgia Board of Nursing as an Advanced Practice Nurse Practitioner.